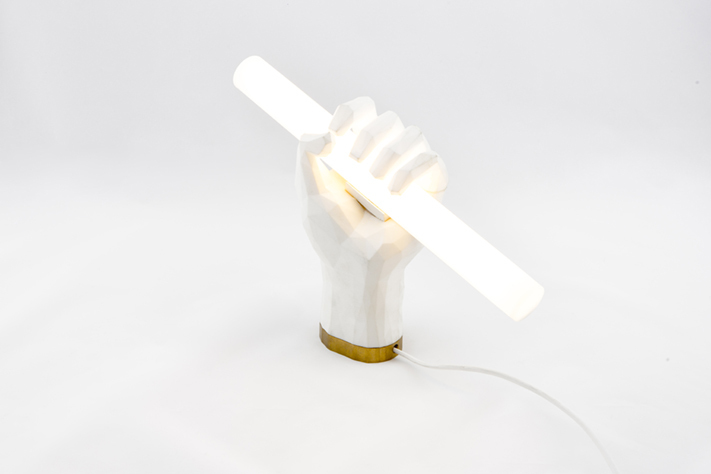 Puno is a table and/or wall light with character. The light stands triumphantly on a surface or hangs organically of a wall. 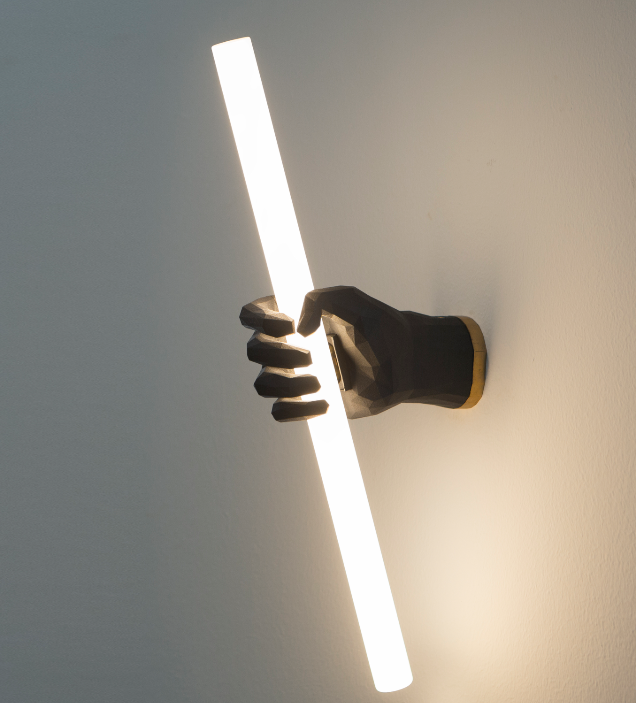 A complicated, yet polygonally reduced hand structure complements the simplicity of the lighting tube. Thanks to 3D laser sintering, every finger is as stable as a whole arm. 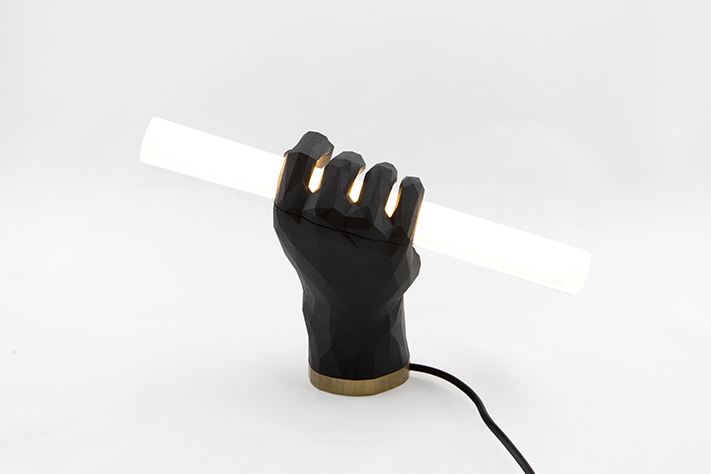 Puno isn’t just light, Puno hands it over. Note: Left or Right hand, Black or White. 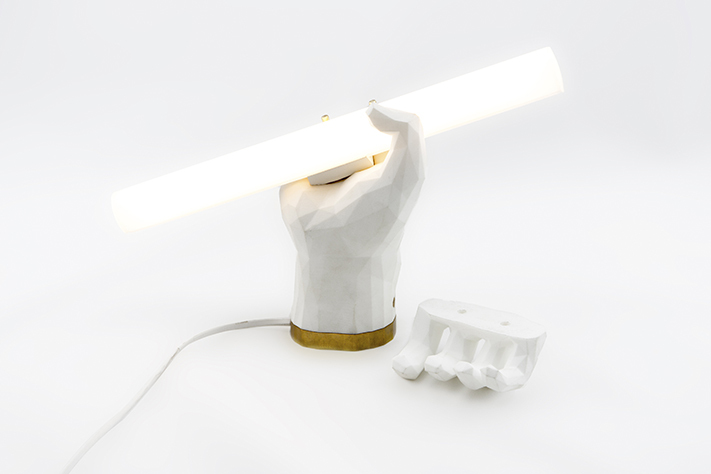 All lamps are handmade crafted at our happy valley studio in vienna.